Oar selection has come a long way from the days when the only choices were spruce, ash, fir, and other woods. 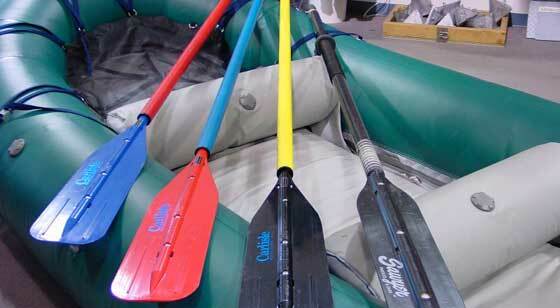 Modern oars use aluminum, fiberglass and composite materials that are very light and strong. The added advantage for Alaska float trips is that modern oars can be broken down into smaller pieces for loading into a Bush aircraft.